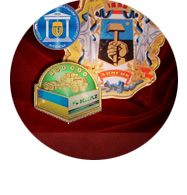 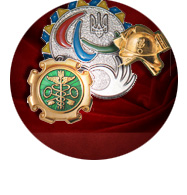 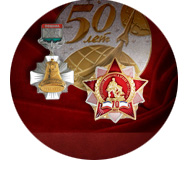 Production of heraldic award and badge products is based on the use of advanced technologies such as: 3-D modeling, three-dimensional scanning, computerized three-dimensional processing in milling and engraving complex, high-relief stamping and special galvanic and decorative coatings. 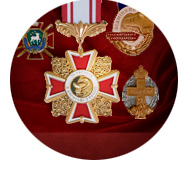 This allows us to manufacture products with high relief and sharp contours, combining different colors coatings, create nonstandard, special awards, orders, medals and badges. 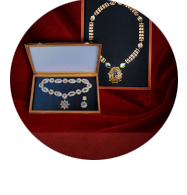 Semi-precious stones are set in the awards, badges, medals, pins at the customer's option. 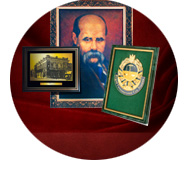 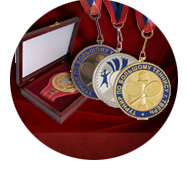 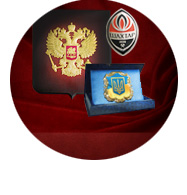 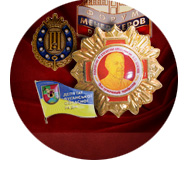 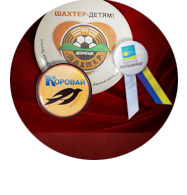 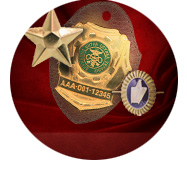 Badge and award products can be produced from one or more elements which are made by stamping or engraving and are performed in complete with tailcoat option and certificate, packed in cases to the customer’s demand.